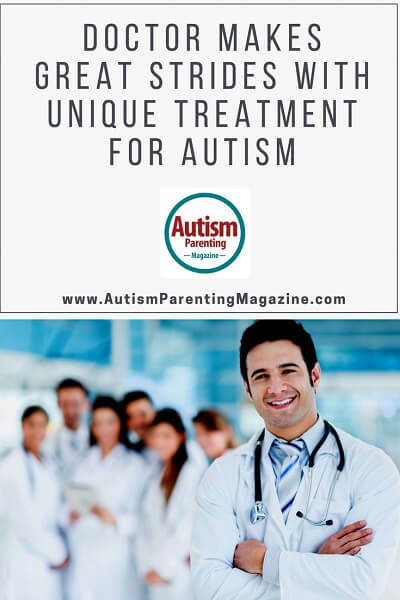 Significant overall improvements often occur in those with autism or autism spectrum disorder (ASD) by medically treating their coexisting inner-ear/cerebellar-determined (dyslexia or learning disabilities (LD), attention deficit hyperactivity disorder (ADHD) and anxiety related) symptoms with inner-ear-improving medications. Despite significant scientific advances, we currently do not know the primary cause(s) and cure of autism. Thus a unique, safe and rapid medical treatment capable of improving the many secondary coexisting inner-ear-determined symptoms complicating this often debilitating disorder deserves attention. Levinson had previously demonstrated that dyslexia or LD and related ADHD, phobic/anxiety disorders as well as developmental coordination, speech, and central auditory processing impairments all resulted when initially normal brain structures and mechanisms failed to process the scrambled signals received and transmitted. These “dizzy” signals were discovered by Dr. Levinson to result from a fine-tuning defect of primary cerebellar origin. Importantly, these scrambled signals and the many and varied resulting symptoms and disorders were shown to respond very favorably and rapidly to inner-ear-improving medications. Summary: As predicted, by medically decreasing the inner-ear-determined signal-scrambling in ASD, their primary autistic-causing processing impairment improved somewhat–freed from the additional burden of having to decipher “dizzy” signals. However, the core diagnostic ASD symptoms always persisted–hence no cure. As might also be expected from a “secondary treatment,” the greater the primary autistic processing impairment the less likely will core symptoms improve. They have less compensatory wiggle room. And the presence of severe autistic symptoms often results in greater degrees of frustration and agitation — occasionally requiring the additional use of mood/behavior stabilizers to minimize a negative spiral. Fortunately, all the non-autistic cerebellar- determined symptoms and mechanisms characterizing the many other relatively “minor” overlapping disorders (LD, ADHD, dysgraphia, dyscalculia, dyspraxia, phobias, etc.) often significantly and rapidly improved. And by enhancing cognition, learning, concentration, processing capacities, sensory-motor functioning, speech, memory, mood, frustration tolerance, behavior, etc. while decreasing distractibility, hyperactivity, anxiety, and impulsivity, it became possible to maximize overall functional capabilities in autistic individuals, exemplified by nine-year-old Jordan Johnson. A Clinical Example: No doubt, the following improvements observed in a recently treated child previously diagnosed with autism and ADHD as well as other overlapping cerebellar impairments will be highly instructive. Jordan Johnson is nine years old. Following six months of treatment by Dr. Levinson for a coexisting cerebellar-vestibular (CV) dysfunction, Jordan’s symptoms improved sufficiently so that he manifested mild vs. moderate/severe autistic traits. Thus his latest diagnosis was: ADHD-ATs (autistic traits)/Dyslexia/ADHD. According to his mother, Lois Johnson: “Jordan was diagnosed with autism at age two and a half. Before seeing Dr. Levinson when nine years old, Jordan was in his own world. He was very hard to motivate. He did things in his own time and was unaware and unaffected by social pressures. It was very hard to follow his train of thought. His statements seemed random as if he were telling you something from the middle of the story rather than the beginning. It seemed as though he was just a little bit off… as if a switch needed to be flipped. “But once we started treatment, changes began. The switch was definitely turned on. I started noticing Jordan saying things… as if he was more in the moment. For the first time ever, he actually reminded me that he needed to have his homework done. This meant that he developed new organizational and planning skills as well as greater memory and interest. “His teacher told me that he seemed more assertive, volunteered to write on the chalkboard, and followed along more during class. He also could relay a story to me of what happened at school, something that he could never do in the past. He bargains more, argues more, and even tried to pull the wool over my eyes. All of those things are typical for his age but something I never saw before. “As we reached our sixth month on Dr. Levinson’s program, Jordan’s speech and communication improvements continued to surprise me more and more. He asked me what the word ‘pregnant’ meant that he had heard on TV. He also started listening to my conversations and then asking me pertinent questions about what was said. An Explanatory Comment: Jordan’s medical treatment significantly improved his inner-ear/cerebellar determined auditory and speech processing as well as his motor, sequencing, concentration and memory mechanisms while decreasing anxiety, hyperactivity, and distractibility, etc. And his primarily impaired autistic disorder lessened somewhat, resembling a milder subtype called ATs (autistic traits). As previously reviewed by Dr. Levinson, new Harvard research has shown that ADHD is related to the cerebellum and that 20% of children with ADHD have mild autistic traits. Neuroimaging brain studies have also verified cerebellar involvement in dyslexia, anxiety and depressive disorders as well as autism, intellectual impairments, etc. What was the medication used in this research?